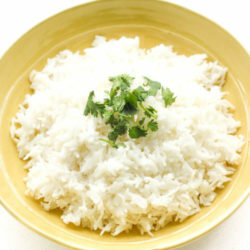 Easy Coconut Rice: Amazing, aromatic coconut flavours emanates from this perfect, easy coconut rice, making it the perfect side dish. 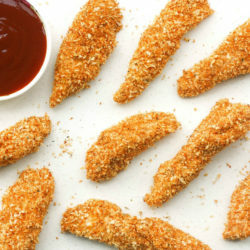 Baked Crispy Chicken Strips: Juicy long strips of chicken shaped perfectly for dipping & coated with a flawless crispy & crunchy exterior. 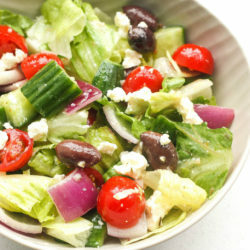 The Perfect Greek Salad: Juicy tomatoes, fresh cucumbers, red onions, romaine lettuce, savoury olives and crumbled feta cheese in a lemon vinaigrette. 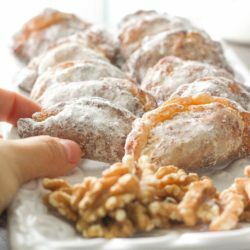 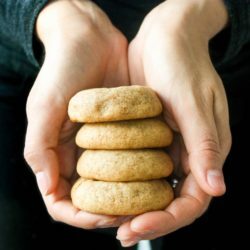 Ghotab / Qottab Pastry (Traditional Iranian Almond and Walnut-Filled Crescents), infused with cardamom and cinnamon flavours. 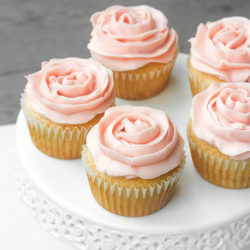 Spring is in the air & Easter is right around the corner. 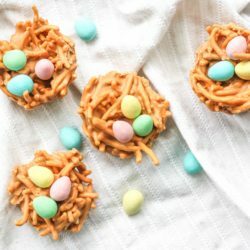 This calls for a batch of adorable no bake butterscotch & peanut butter bird’s nest cookies. 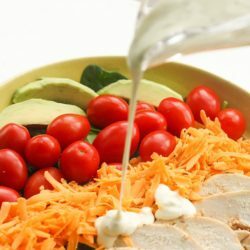 Change up your salad routine with this vibrant, fresh and easy grilled chicken garden salad topped with a homemade ranch dressing. 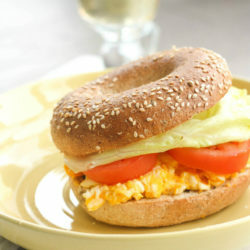 E.L.T (Egg Lettuce Tomato) Breakfast Bagel: Start your morning right and curb your hunger with a healthy and classic breakfast bagel. 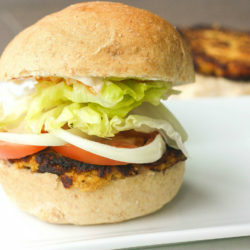 Make yourself proud by making your own delicious, fresh and wholesome homemade veggie burger patties with lima beans. 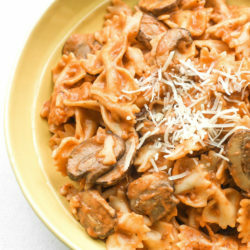 Farfalle Pasta with Light Creamy Mushroom Rosé Sauce: This heavenly combination of ingredients makes up the best and creamiest Italian comfort food. 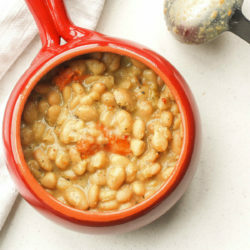 Easy Lima Beans: Lima beans don’t have to be boring and bland. 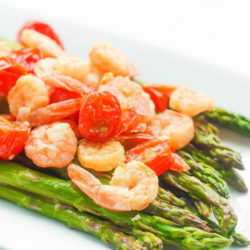 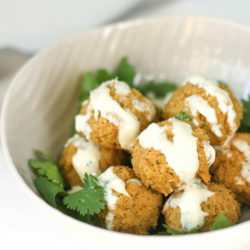 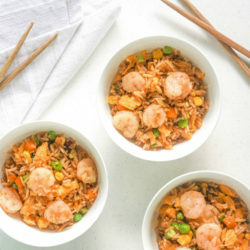 Bring them to life and full of flavour with this easy to follow recipe. 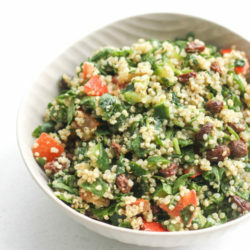 Quinoa Spinach Power Salad with Lemon Vinaigrette: Take a bite into this refreshing, gluten-free salad bursting with colourful vegetables and raisins. 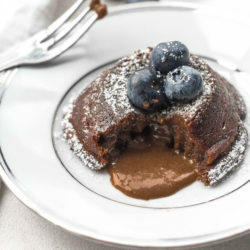 Easy Molten Chocolate Lava Cakes: Treat yourself and indulge in easy to make, rich and gooey, mini molten chocolate lava cakes. 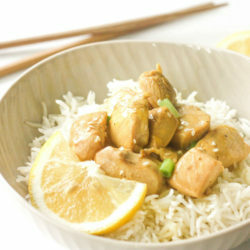 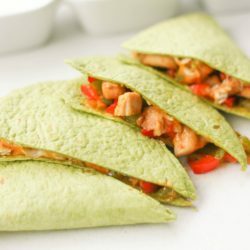 Healthy Lemon Chicken: A twist on a classic sweet and tangy Chinese dish, this healthy version of lemon chicken is quick and easy! 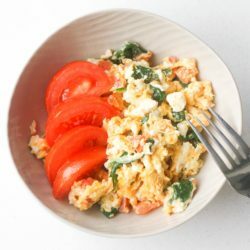 Mediterranean Scrambled Eggs with Spinach, Tomato and Feta: Got 5 minutes? 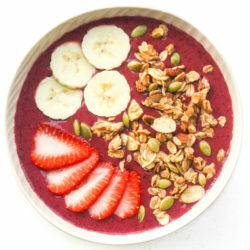 Spiff up your breakfast and make it interesting! 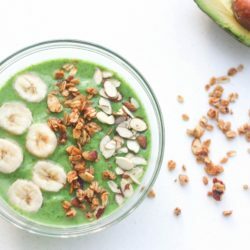 Green Smoothie Bowl: Start your morning right with a delicious, nutritious green smoothie bowl packed with spinach, avocado and banana. 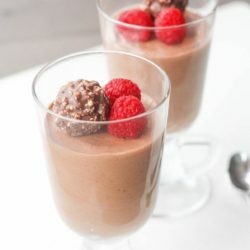 Nutella Ferrero Rocher Mousse Cups: Your prayers have been answered! 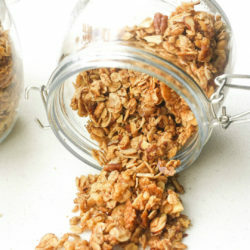 Make this no fail, light, airy, creamy & rich Nutella Ferrero Rocher mousse cups. 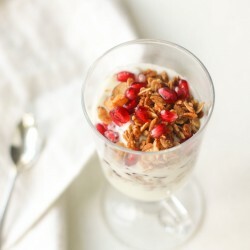 Fruit and Yogurt Parfait with Granola: Layer fresh fruits, creamy yogurt and crunchy granola to make a delicious and healthy breakfast or dessert. 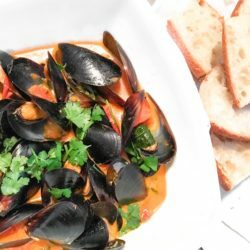 Thai Red Curry Mussels: Show off your kitchen skills with this quick and gorgeous appetizer. 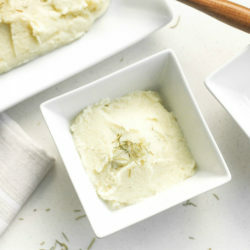 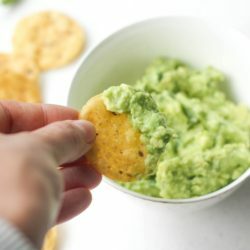 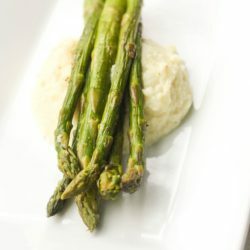 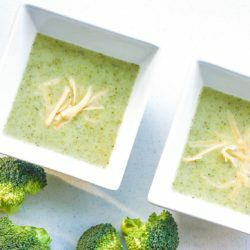 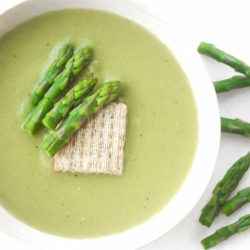 Serve with a side of bread for dipping. 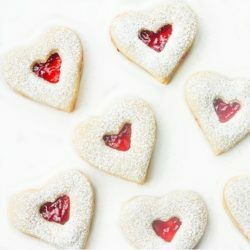 Raspberry and White Chocolate Shortbread Cookies: This Valentine’s Day, show your boo how much you care with these cute and delicious cookies. 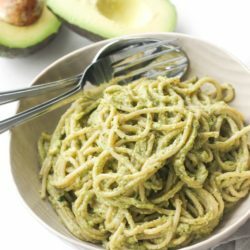 Creamy Avocado Basil Pesto Spaghetti: Treat yourself to the easiest vegan and super creamy avocado basil pesto spaghetti tonight. 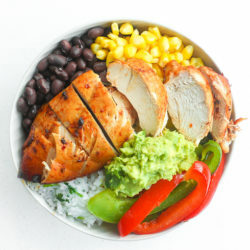 Ready in 10 minutes!